Between conception issues, my mother’s desire to talk to the baby through a vaginacam, a childbirth class led by a drill sergeant and a father-in-law determined to sign the kid up for prep school before Declan even pulls out, my pregnancy has turned out to be one ordeal after the other. 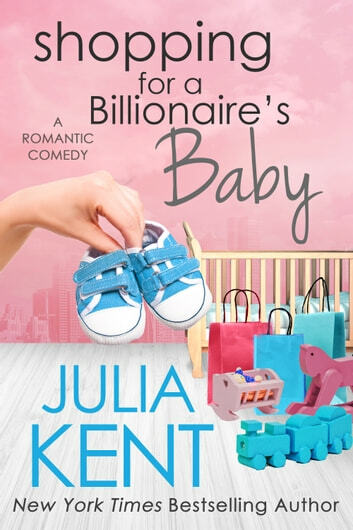 Shopping for a Billionaire's Baby is the newest book in Julia Kent's New York Times bestselling romantic comedy series. This book continues the story that we have come to know and love. The quiet times between Shannon and Declan are powerful and then the scenes that make you laugh are priceless! I love this series and can't wait for more. Well i laughed, cried, wondered and was surprised, coild not put it down and wanted more when finished. 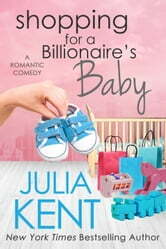 5 star review Shopping For A Billionaire’s Baby (Shopping for a Billionaire #13) by Julia Kent Wow, what a great book! Congratulations, Ms. Kent on a great addition to what is in my humble opinion a fantastic series. As with every book I have read in ths series, I was in stitches having laughed so much I cried. That’s right, not only laughing but snort laughing, totally unattractive I assure you. I have always enjoyed reading about Declan and Shannon and after reading Shopping For A Billionaire’s Baby I love them even more.Throw in their families, who quite frankly are as mad as hatters and what a fun read it was. Having said all that, be prepared for some swoon worthy and tear jerking moments. All I will say is that I loved Declan before and I love him even more now. As you can imagine from trying to conceive till the birth can be an emotional roller coaster, add in the nuttiness that is Declan and Shannon and their families and you just know that this is going to be one heck of a ride. What a simply brilliant addition to one of my favourite romantic comedy series ever. Loved Sharon + Declan ! ARC - I voluntarily offered to review this book with no obligations and my opinions are honest Loved, Loved the book. You get to read the whole experience from getting pregnant to giving birth. You also read what happened in between as well. You get to read Sharon's transition from being single to being a mother. Of course, Declan was right by her side as always Is Amanda going to be next? I hope to read more about Sharon + Declan as parents. How do they deal w/ diapers, potty training, teething, etc... That would be fun to read The storytelling + the character's build were awesome! It has all the ingredients that you need for a great book! I can't wait for the next book in the series!